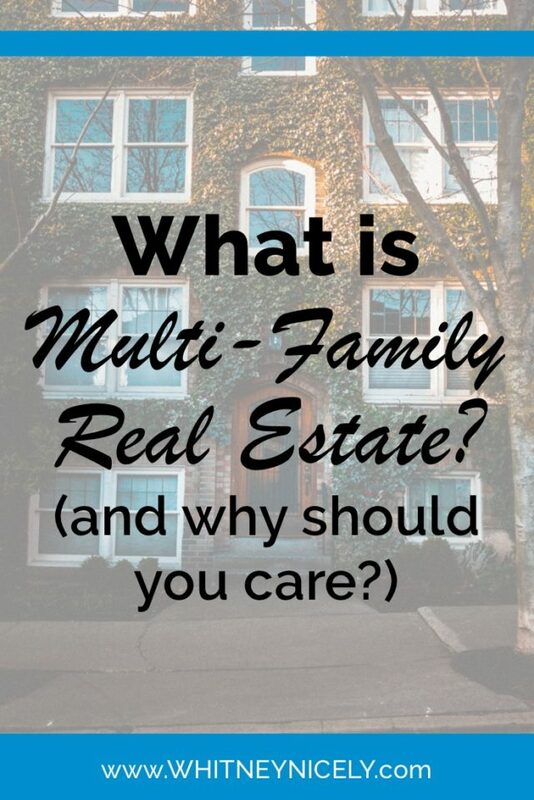 What is Multi-Family Real Estate? Have you ever wondered about multi-family real estate investing? Maybe you are ready to branch out a bit more in your investing journey? I know the feeling, and am thrilled to tell you: DO IT! When I was ready to take some new steps in my journey, I started down the path of multi-family real estate. And, I am so incredibly glad that I did. But, before we get too far in the details here, let’s discuss the basics. 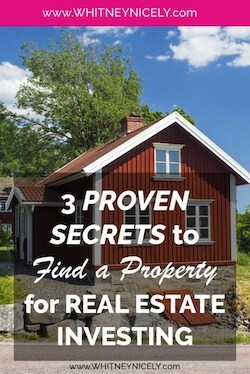 If you have any experience in real estate investing, you know that there are several different types of properties that exist: residential, commercial, agricultural, and industrial. But, what you may not realize is that multi-family real estate has some overlapping potential in these groups. Multi-family real estate is simply a form of housing that provides separate occupants individual, self-contained units in a single building. This could be a joined housing structure, like a duplex/triplex/quadplex, or a larger building of 20+ apartments, etc. What is important to understand is that the real estate investment is in the entire complex, not just one of the single units. Make sense? Good. What are the Different Types of Multi-Family Properties? I already mentioned a few words you may not yet understand, so let’s review. Duplex – A single piece of property with two self-contained units that connect within one existing structure. Triplex – A single piece of property with three self-contained units that connect within one existing structure. Quadplex – (I’m sure you’re seeing the pattern…) A single piece of property with (count ‘em) four self-contained units that connect within one existing structure. All of these multi-family properties are considered residential properties, because they have 4 or less units in them. Once you start looking at properties that contain 5 or more units, you have now begun the journey into commercial real estate. Oftentimes this will be properties like apartment complexes. Sidenote: Different places around the country seem to vary in their use of these terms (duplex/triplex/quadplex). In New York these terms actually are the number of levels in the property. So, for sake of clarity, we are talking specifically about the individual number of self-contained units. Mmmm-kay? Now, do you remember how I made $140,000 in just 9 months after getting started in real estate investing? Here’s the thing: multi-family real estate played a big part in my success! Why? Because a single financial transaction on my part provided the opportunity for multiple streams of income in one single property. This is why I adore multi-family real estate investing. And, why you might want to branch out and give it a try, too. When I moved into the multi-family arena, I already had a few single-family properties under my belt. 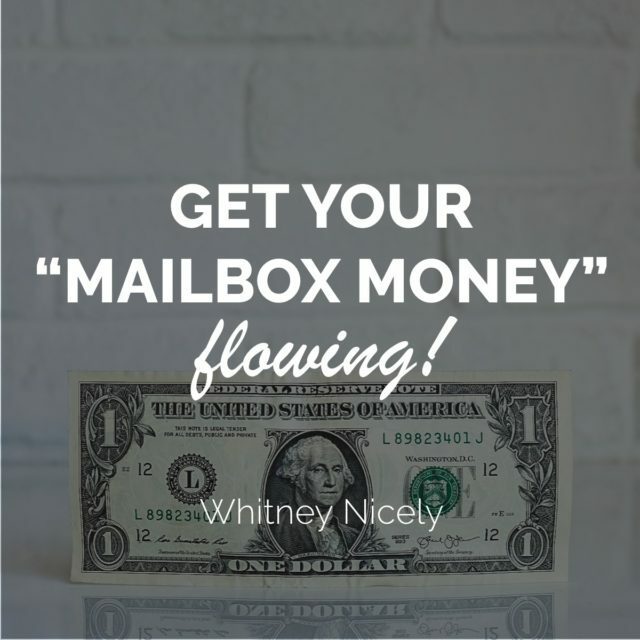 So, multi-family was the perfect “next step.” It is a great way to apply skills that you already know in a whole new way to make even more money each month (I call it mailbox money). Are You Ready to Take the Next Step, Too? But, if you are new to my site (HI! I’m so glad you’re here! ), let’s talk for a moment to the side: Are you comfortable with single-family home investing already? 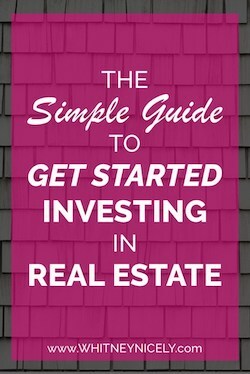 Do you understand the basics for real estate investing and how I do things with my investments? If not, First Deal Done Fast is absolutely the first stop to get you all spun up and ready to go. Don’t worry. You won’t be doing this alone. Let’s chat and see if we can get you moving where you want to go…. Now, to the rest of you lovely investing ladies, if you have become more seasoned (I bet you never thought you’d think that about yourself!) then you are ready to dive deeper (get ‘em, girl!) You are ready to check out Apartment Blitz. This is my all-time favorite course when it comes to taking your skills to the next level and branching out even more! Think It’s Time to Level Up? 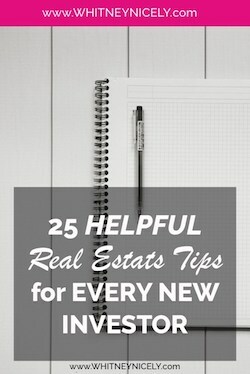 If you’re already taking massive action and moving in real estate investing, then you are seriously going to love this next step. Get ready to explode your income even more, and grow your profits beyond what you can even imagine. Click here to find out more about how to get started! We all want to simplify this life thing. It can be crazy sometimes with family and work and responsibilities and bills, etc., etc., etc. So, let’s work together and make something simple. Personally, I like to make monthly cashflow fairly automatic…but that’s just me. Oh, it isn’t? That’s you, too! Well, awesome! Then let’s get you started in the next step of your investing journey: multi-family real estate, baby! There are so many great opportunities with this new stream of income. (My favorite is the money rolling through the door on your set day every month….) You are capable of rocking this new venture for your financial future. Let’s get to it! Have you ever considered multi-family real estate for investing? What is the greatest fear in your way of getting started? Leave a comment and let me know what gets in the way of you achieving your dreams in real estate investing.